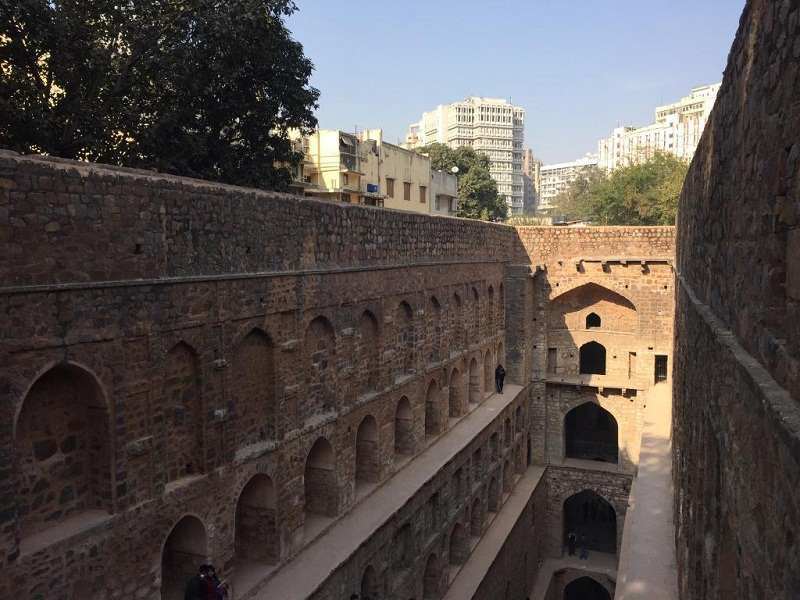 Agrasen ki Baoli is an Archaeological Survey of India protected monument located in Connaught Place on Hailey Road. It got the attention of tourist after it got featured in PK starring Aamir Khan. 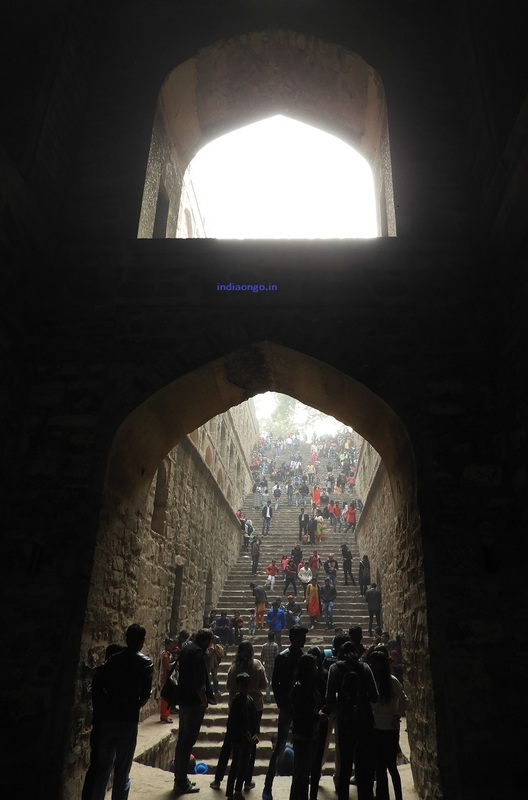 It is believed that Agrasen ki Baoli is made by King Agrasen in Mahabharat Era and rebuilt by the Agrawal community in the 14th century. In the past, Baoli are filled with water and are the get together point for people especially for women. People gather around the Baoli during the summer time to beat the heat. Nowadays, visitors can see the gathering of people around or inside the. Some people considered as a haunted place. 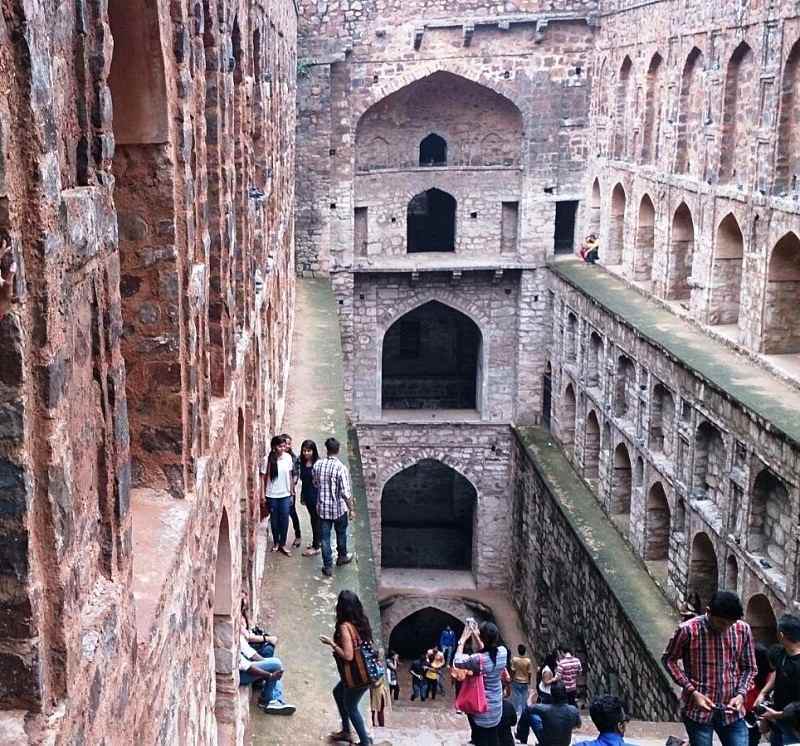 Agrasen ki Baoli also known as Ugrasen ki Baoli is a 15 meter wide and 60 Meter long steep well located in the vicinity of high rise buildings of CP. Baoli is also referred as bare, bare, value in different languages. Baoli has 103 steep steps, it has three visible levels. 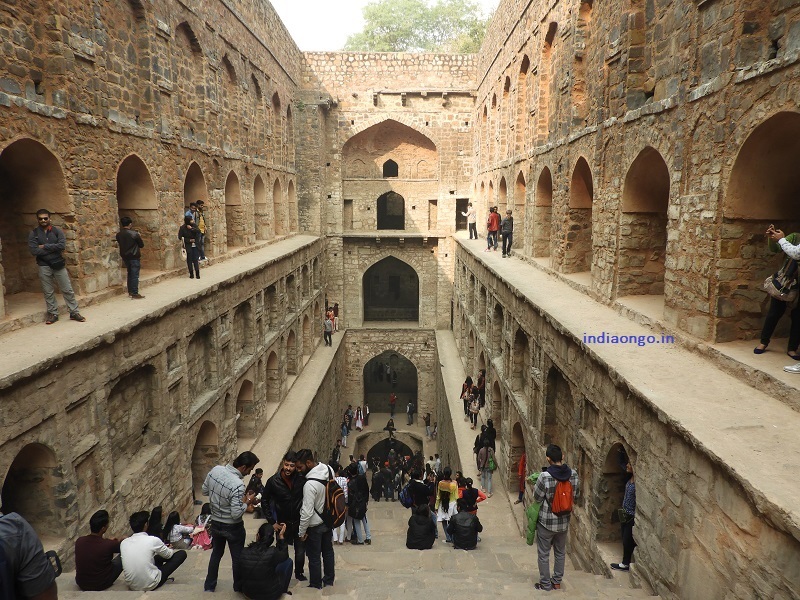 PK movie made Ugrasen ki Baoli as a good tourist place to visit. You will see many young couples, college students and families enjoying here and clicking selfies. 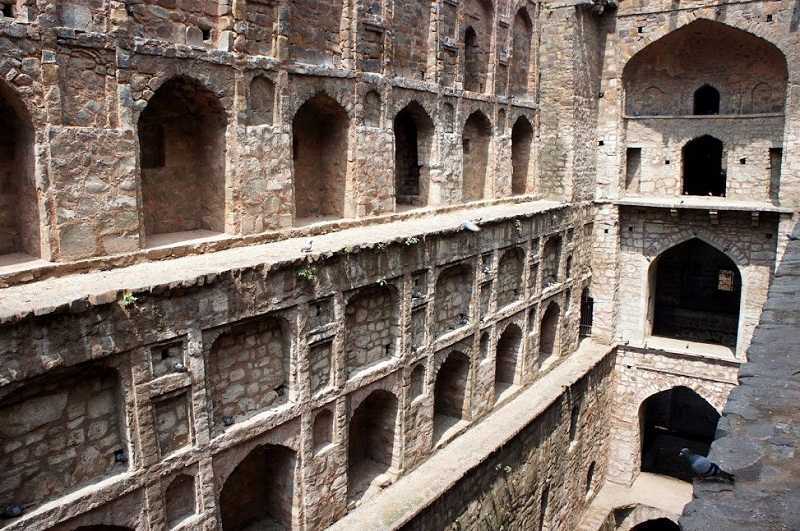 This architecture of the Baoli is very Pictorious. 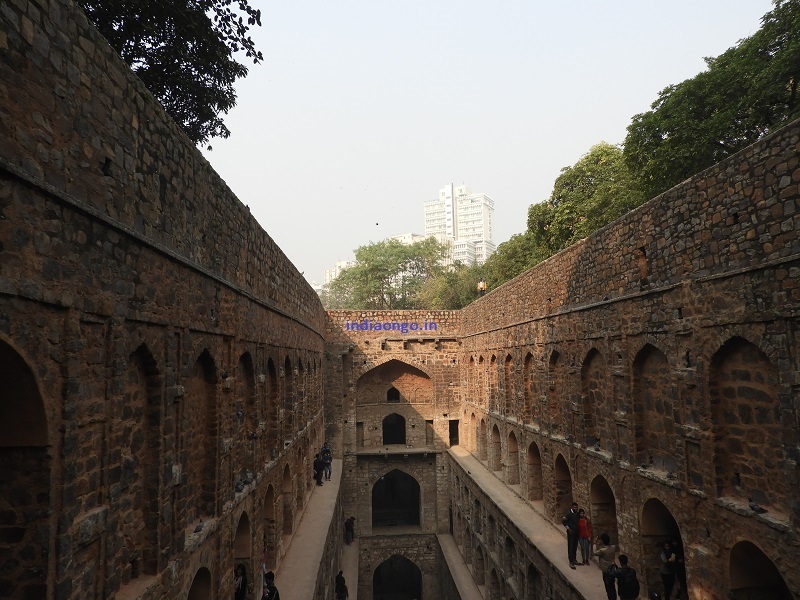 Agrasen ki Baoli located inside CP and can be easily accessible from all parts of Delhi and India. The best option is to reach from Delhi metro. New Delhi railway station is less than 3 KM and Old Delhi railway station is around 5 KM away from the Baoli. Apart from metro, visitors can take the service of city buses or hire a taxi and auto rickshaw to reach. Delhi summers are quite hot and visiting Delhi in these months are quite tough task and even Delhi people are avoid travelling during summers. 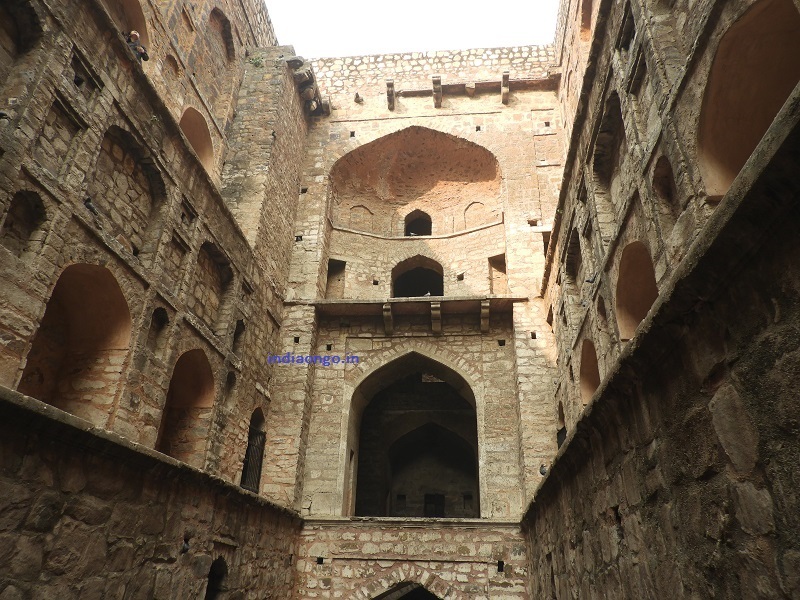 Agrasen ki Baoli timings are 7 AM to 6 PM. 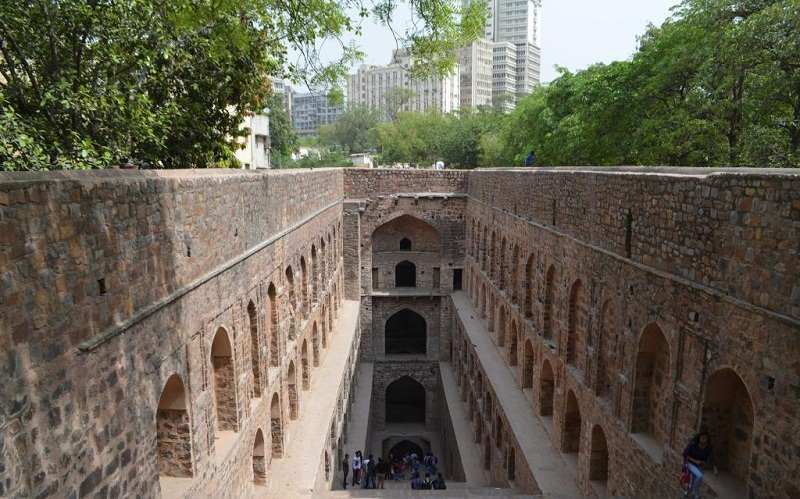 It is advisable to visit the Baoli in pleasant weather because there are no water presents the well. Baoli opening time is 7 AM and if you are planning to visit the Baoli during summers or want to avoid the crowd visits the Baoli during the morning time. Baoli closing time is 6 PM and it remains open on all days of week through 365 days. Janpath metro station and Barakhamba Road metro station are the nearest metro station to reach Baoli, which is located on Hailey lane. 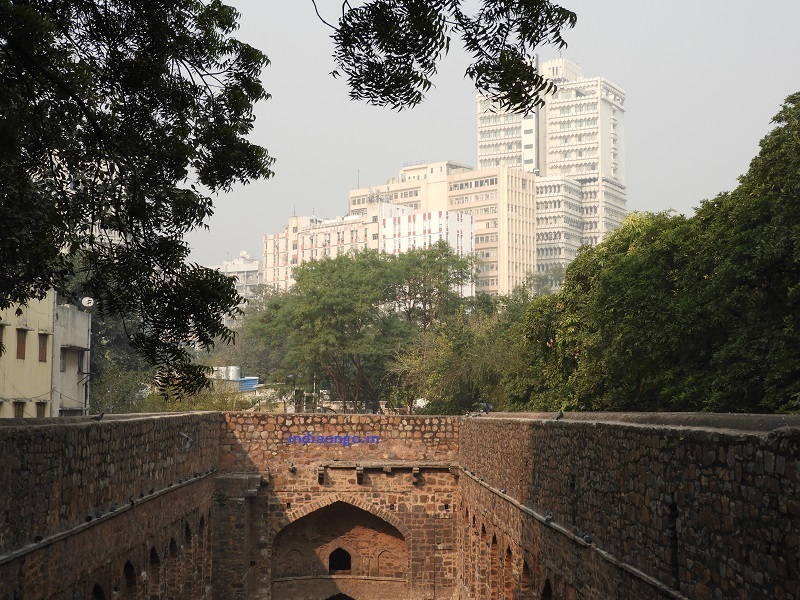 Both of the metro stations are located just under one KM from the Baoli. A 10 minute walk is enough to reach the Baoli. Gate no.4 of Barakhamba metro is nearest one and 10 minutes of walk is sufficient to reach the venue from this gate. There are not tickets price for the entry in Baoli for Indian and foreigners. Photography is also free and no written permission is required for casual photography. During my recent visit to Ugrasen ki Baoli (on Christmas Eve), I clicked some pics of this monument. 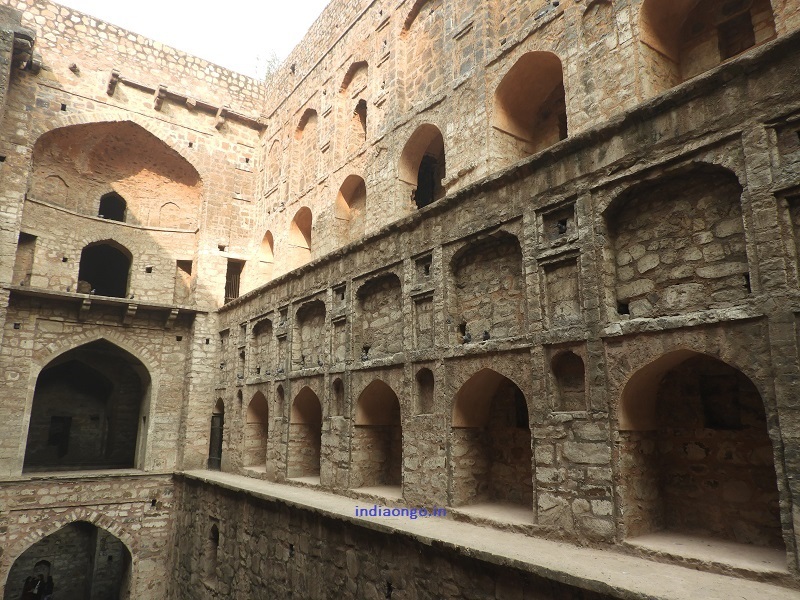 I am sharing these pictures here, so that you guys can get an idea of this heritage Baoli. Hanuman Temple, Jantar Mantar, India Gate, National Zoological Park, Purana Qila are located nearby and worth to visit.